From fixing slipped tiles to repairing major damage caused by high winds and storms, you can trust JRC Jordan Roofing CO to carry-out high quality roof repairs every time. We appreciate that even the highest quality and most professionally installed roofing can develop faults over time or suffer damage. Our repairs and maintenance services are designed to repair these faults or even prevent them from happening in the first place. We often instinctively know when we can simply re-seat tiles and when a quick fix isn’t the right answer, but we’ll always give you open and honest advice based on a comprehensive survey of your roof and our recommended best course of action. 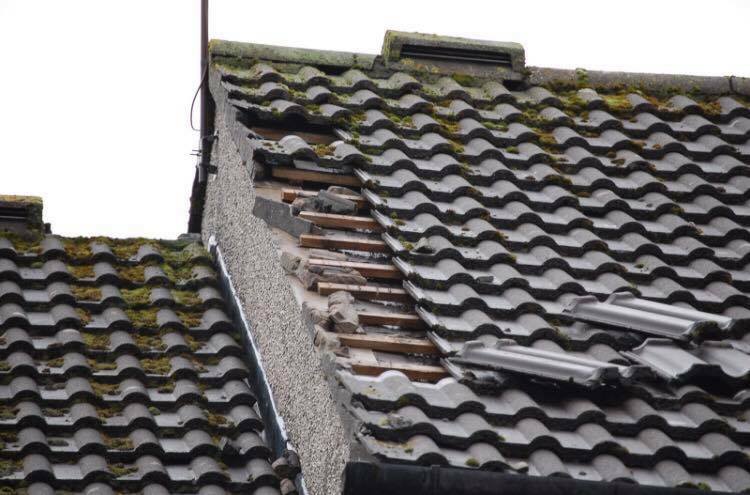 For repairs that will be done under an insurance claim, we can also work with your insurers to ensure effective remedial action is carried-out. We can help you spot the signs of damage to your roofs early which will save time, stress and money by getting any maintenance issues resolved quickly. Alongside our repairs service, we also provide regular maintenance programmes which are designed to stop problems before they can really even begin. Our maintenance programmes are tailored to suit individual customer requirements. Whether you need us to check your property once a month, once every couple of months or just once a year, we will do just that and do our best to stop major problems before they happen.